This article is posted to mark the date, November 11th, 2011 – the 8 month anniversary of the Fukushima Nuclear Disaster. Had TEPCO installed hardened vents 20 years ago, and settled on a realistic evaluation of seismic risk, and threat of corresponding tsunami, it is unknown if the world would be facing the 8th month of a nuclear crisis. The revealed information showing heightened risk to the Fukushima reactors came 20 years too late and will haunt TEPCO, NISA, and the entire nuclear industry forever.. It will indelibly stain the nuclear record, as if that matters. This is a decision that should provoke more acceptance of limitations and risk, rather than defiance. History has repeatedly shown the lack of quality in operating experience, and inadequacy of communication between designers, engineers, manufacturers, constructors, operators, and regulators. These deficiencies when matched with a clear lack of responsibility are critical factors to assess at in every country using nuclear reactors, and these shortcomings must be addressed at the national, state, and station level. There was no way any engineer or regulator should have allowed TEPCO to be so indifferent to known design flaws, not with so much convincing circumstantial evidence of risk. It should be noted that not only were these obvious shortcomings overlooked, prior to March of this year, at an RIC conference, an NRC official who was speaking admitted that Japanese plants were more seismically prepared for catastrophic events than their American counterparts. It never will be enough for the residents of Japan, the former Prime Minister forced out of office, or the officials from NISA and TEPCO who have yet to be charged with any legal charges stemming from decades of cover-up and abuse of the political system. Not with it becoming increasingly clear to those not blinded by nuclear proponents baseless claims, that anyone using common sense or adhering to safety regulations knew — or should have known — that their nuclear ‘padawan’ had a dark, dangerous side. It’s naïve and inconceivable to think otherwise. So what were the experts possibly thinking as they rushed all over the world to reassure the safety of nuclear power, despite their inability to bring any semblance of control at the unstable reactors at Fukushima? Shed no tears for the nuclear industry, and the ballooning costs of operating and constructing nuclear power stations in the United States. This is a natural part of experiencing a nuclear accident that was not only forseen, but also predicted and ignored time and time again. When will they realize, after the excuses and explanations weaken, and the sobering reality sinks in, that they were defending the right to cover up the industry’s inability to cope with natural limitations? As much as they work to avoid investigating the real questions about what happened at Fukushima, and will use any excuse to extend nuclear energy to countries across Africa and Asia, despite the lacking experience and workforce, that’s the harsh reality. These shortcomings if not identified and proactively responded to, demonstrate a clear lack of lessons learned from nuclear disasters, and potential risk to the health of residents far outside of any national boundary, despite any contradictory argument and alternative benefit lodged in defense of nuclear energy. It was not until after the Three Mile Island disaster, that the industry admitted that a worst-possible accident in a western nuclear station would cause dramatic public harm. The accident caught federal and state authorities completely off-guard, as they had not been forced to prepare for such a disaster, since no dispute was ever lodged against the promises that there was no risk to the public from a nuclear reactor. It took over 20 years to remove and process the 2.23 million gallons of accident-generated water. The accident was caused by a combination of personnel error, design deficiencies, and component failures, and while it might have had a slight impact on station design and requirements, it did nothing to change the industry’s efforts to push forward as quickly as reasonably possible.Even months after the Three Mile Island (TMI) accident in 1979 it was assumed that there had been no core melt because the industry simply was unwilling to follow the simplest most direct path to drawing a conclusion. It later turned out that over half of the core had melted. Following the Chernobyl disaster, the industry worked harder than ever to show that if managed and operated correctly, nuclear energy was still a safe and responsible resource, capable of being operated by highly trained engineers. There are undeniable elements of nature, which cannot be ignored. These are the limitations that bind us, but the nuclear industry would rather leave limitations to ‘chance’ and utilize a quiver of risk assessing tools to show why limitations do not apply to nuclear power. There is a desperate need need for an effective communications and outreach effort from the NRC and NRC licensees and to the public to re-establish public trust, and describe in detail what was learned from Japan, and the implications of those lessons for the U.S., including implications for the NRC’s approach to U.S. regulation and licensure. Often the book of history is also a book of fate. To continue to act as if there is no impact on the operational and licensing abilities and foundation of nuclear energy itself, is a sign of what is yet unrecognized by experts. From the outset, there has been a strong awareness of the potential hazard of both nuclear criticality and release of radioactive materials from generating electricity with nuclear power, but the impact that repeated releases from nuclear stations have is constantly minimized. The NRC’s role in response to the Fukushima Daiichi nuclear plant disaster is to improve safety and security of nuclear stations in the U.S. The fact is, that the cost it takes to operate a nuclear station responsibly, is much more than any licensee is willing to pay. The public was supposed to rely on a series of barriers, which would make the release of radioactive materials a statistical phenomenon. The industry vowed their ability to produce robust and secure nuclear power stations, and so it was presented to the world, until Fukushima disaster occured and proved them wrong 3 times over. 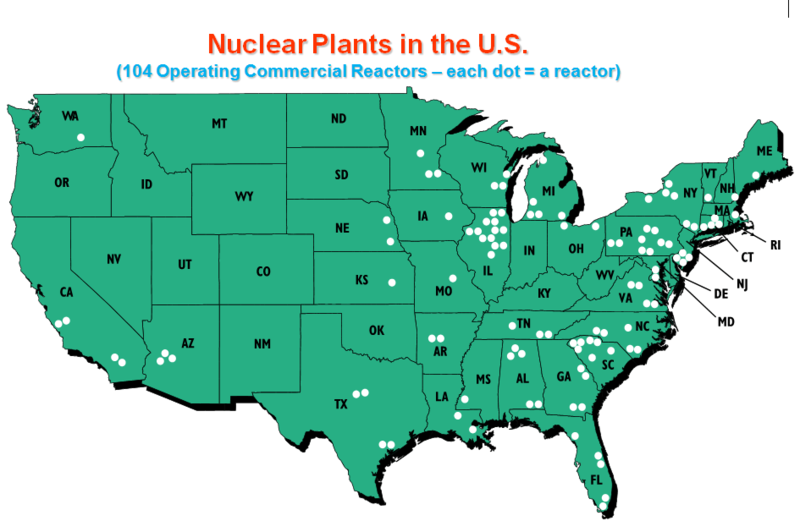 The U.S. has over 100 operating commercial nuclear power plants, more than any other country, and many of them are near large population centers. The NRC regulates not only the 104 commercial reactors, but also 32 test reactors, nuclear waste, and radiological materials used in various industries. The NRC was founded to ensure adequate protection of public health and safety, not to guarantee that an accident or disaster would never happen. By continuing to approach the safety of nuclear stations using unreliable or potentially flawed fundamental principles, the industry demonstrates a complete disregard for the destructive force that uses every available resource or complication to escape their control. In the 1980s, the Oak Ridge National Laboratory conducted a study of BWR containment and secondary containment failures, and found that the impact of a station blackout was more severe than previously calculated. At the time of the study, the BWR Mark 1 was the most common nuclear reactor in operation. The NRC required all Mark 1’s to add a hardened vent when it was finally found that containment was up to 90% likely to fail as a result of a nuclear meltdown. The temporary fix for a flawed design was to release the extra pressure that would potentially impact the containment, but this was not uniformly recognized by the global industry. The entire global nuclear industry also ignored the possibility of a nuclear disaster involving two or more nuclear reactors stemming from a common event. There are no winners here, and no heroes, and no stalwart force working to ensure the levels of safety at nuclear stations. TEPCO and NISA deserve no mercy for choosing time after time to ignore relevant information that contradicted their idea of safe. It’s not that they were struck blindly by fate, they were well aware of it. In response to events in Japan, the U.S. did not rush to close its nuclear reactors as other nations did. Instead, the NRC sent information about the disaster to U.S. licensees and instructed resident inspectors at the reactors to check each facility for equipment to combat flooding, fires, and loss of power. The Commission also issued a bulletin to provide licensees with information on mitigation strategies for disasters and extreme events. A lack of reliable information complicated the response to the nuclear disaster in Japan, and that much of what happened is still not clear. As a result, contradictory reports have affected both the response and the perception of the response. 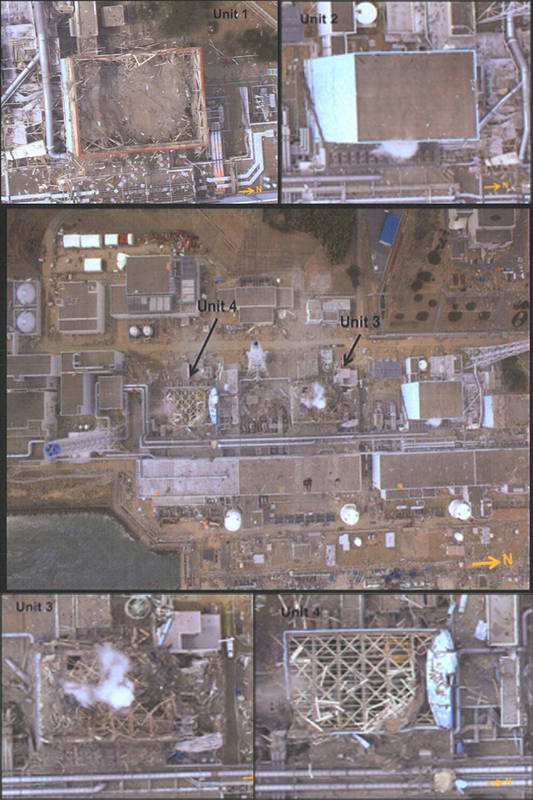 After the Fukushima nuclear disaster, the NRC was asked by international officials whether they had any experts who would be able to assist in determining the potential for accessing the damaged cores at Fukushima Units 1-3. They were not able to provide the necessary support to their international counterparts due to a lack of experience. Following the Three Mile Island Accident, the NRC was not involved in any work to clean up or remove the damaged core at TMI 2. The DOE may have been involved, but most of the work was performed using a commercial contractor to plan and perform the work. Experts have recently admitted that the current technology available is not capable of removing the melted fuel at Fukushima Daiichi, which leaves a clear and present danger to those in Japan and around the world. While admitting some shortcomings or difficulties, the nuclear experts still jump to head off any effort to apply lessons learned in any areas that might affect current licensees abilities to operate and continue increasing financial profits, despite the constant struggle to achieve even basic recovery after a nuclear disaster from their Japanese counterparts. Unless the industry takes drastic measures to demonstrate a willingness to operate responsibly according to their promises and license agreements, the effect does not limit itself to the health and prosperity of citizens, but also infers irreparable damage to the purity of international society and commerce as well. The list of victims and innocent people affected negatively for reasons out of their control by Fukushima, and every other unreported effect of nuclear power, already is long enough.